BlackBerry Classic to launch in black and white | BlackBerry Blast! 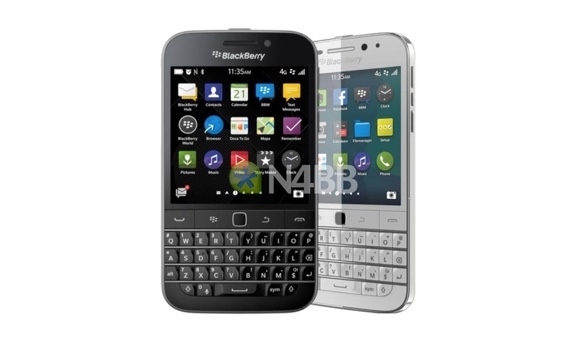 A new press photo is circulating that shows the BlackBerry Classic in black and white versions. The Classic will apparently launch in black, but we have no official launch date for the white version. With any luck, both versions of the BlackBerry Classic will be available at launch. You can pre-order the BlackBerry Classic now for $449. Although there is no official ship date beyond the "mid-December" hint, we are getting very close. This version of BlackBerry Classic will not work on Verizon, Sprint, or US Cellular. US Carrier specific devices will be available at a later date.